We all know that our diet has changed over the last 50 years because most people in developed countries now shop in supermarkets. Our diet in the past was more natural but now day's people are consuming mostly factory food or processed food and this food exists because of profit. While cancer sometime has other contributing factors such as smoking, the food we eat is almost always the main cause. Most processed foods contain additives; while a few might be from natural sources there are two that need to be avoided and they are sodium nitrate and sodium nitrite. These additives are in bacon, hot dogs, ham, salami and other processed meats, used to help preserve its colour and to make it look more natural. These additives are also used to inhibit botulism which will give these products a longer shelf life, therefore increasing profit. Nitrates and nitrites will increase your risk of cancer. Cooking food by smoke is cancer causing as it irritates our digestive system and can cause cancer of the stomach and colon. Also pickle foods have been suspected to cause cancer probably because of the high amount of salt used in the process. Research has linked pickle food to a higher risk of stomach cancer. Cooking meat especially on a barbecue is very high in carcinogens which are known to promote cancer and increase the progression of cancer. Also sugar, the refined stuff has been found to be the natural fuel for growing cancer cells and since our modern diets are laden with it then it's not surprising that there is so much cancer today. If bad food weakens the immune system which produces a favorable condition for cancer to form then it makes sense that the only treatment worthy of serious consideration lies within the domain of good food. We have all heard that vegetarians and vegans have a much less incidents of the disease and that is because a plant based diet is very effective in both preventing and fighting these foreign invasive cells. There are many foods in a plant based diet that have been proven to aid in the recovery of a cancer patient. Onions, garlic and ginger along with vegetables from the cruciferous family which are broccoli, cauliflower and brussel sprouts. 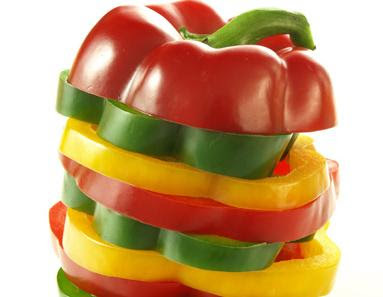 Vegetables which are rich in colour such as tomatoes, capsicum and carrots. Fruit is the same so choose a variety of different coloured fruit such as pip fruit, stone fruit and berries. As you can see we have moved away from eating foods such as these to convenient foods or food that has come out of a factory and when something is processed or heated it looses its cancer fighting properties. Cancer cells are really only a symptom of a poor diet and by changing your diet you are removing the reasons why it first appeared. For a cancer patient a change in diet has to be your top priority. Cancer is mainly a food caused disease and there is no quick and easy cure and certainly no magic pill or treatment to solve the problem. It's only when the cause of the disease is recognised and corrected can true healing take place. You are the only person that can make you healthy and you do that by choosing the foods you eat wisely. It works for everyone and no one can profit from it.